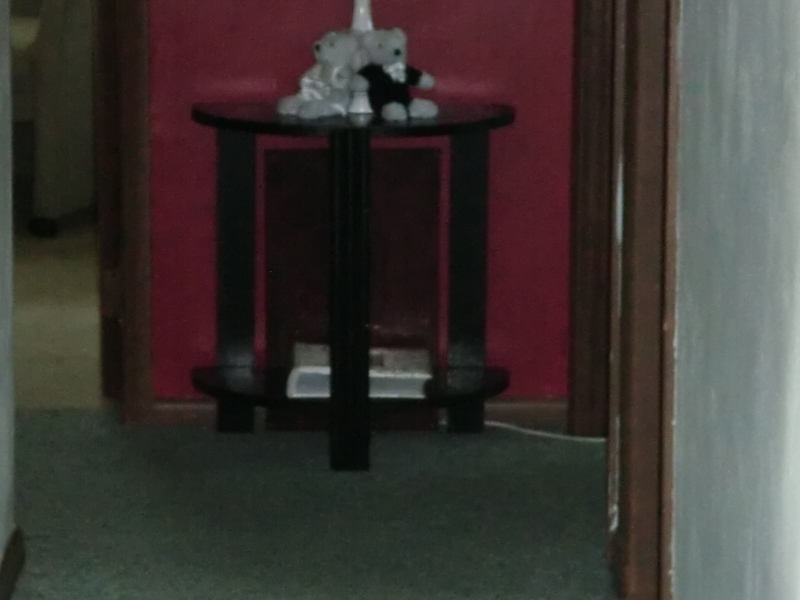 I have a red wall at the end of the hall with a black table. The lamp I chose to put on that table had a white cord. Since it was on a red wall, the cord and outlet were really noticeable. I placed a walnut-stained board behind the table in front of the outlet. 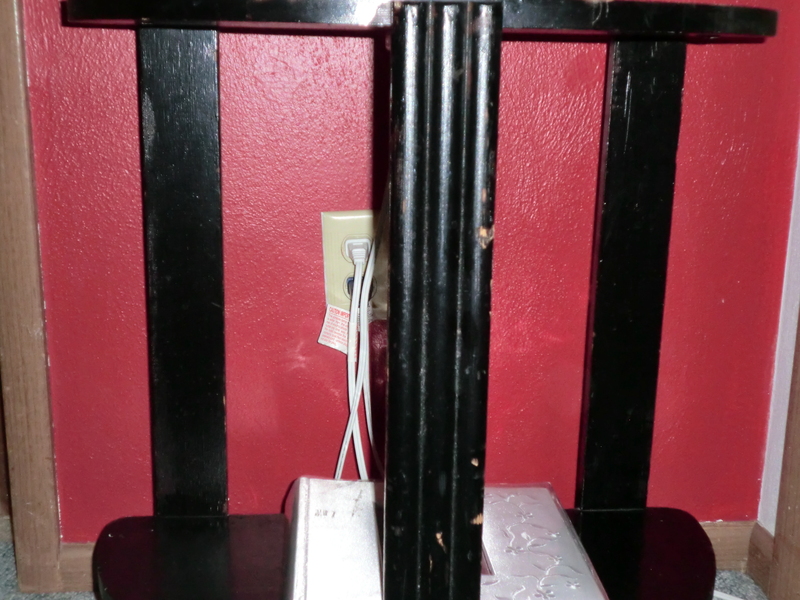 It doesn’t match the table or the outlet, but it blends with both and hides the outlet and cord. This entry was posted in Decorating, Furniture and tagged Decorating, Furniture by Frugal Fish. Bookmark the permalink.